This Ramdan, while the leading media channels are busy in getting hold on highest TV ratings through 24-hours long broadcasting extravaganza, a relatively less popular channel, TV One has emerged as a true winner on social media by having maximum interactions on Facebook and Twitter. 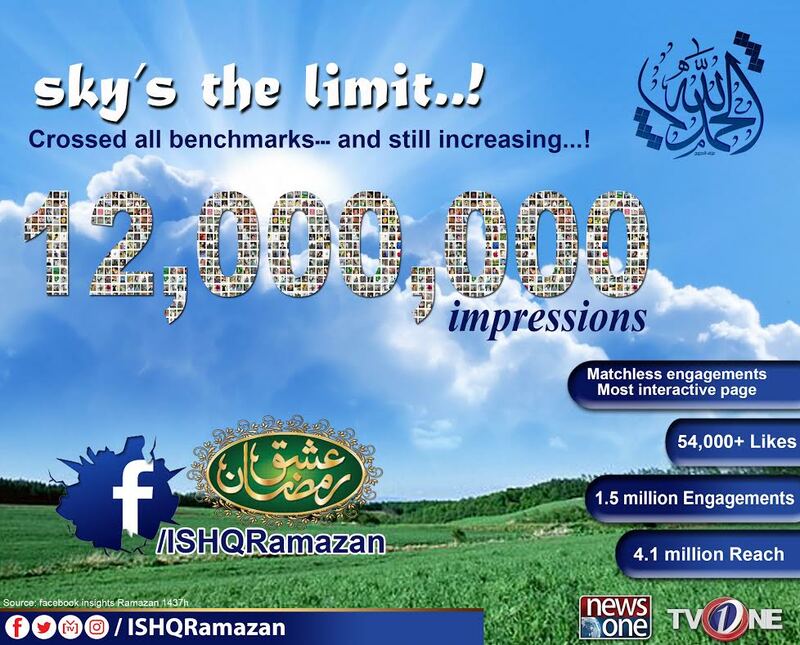 According to Facebook Insight report, TV One’s Ramdan special transmission official page ISHQRamzan has set new record by getting around 1.5 million engagements and 4.1 million reach. The channel has proudly shared this news on their official page. 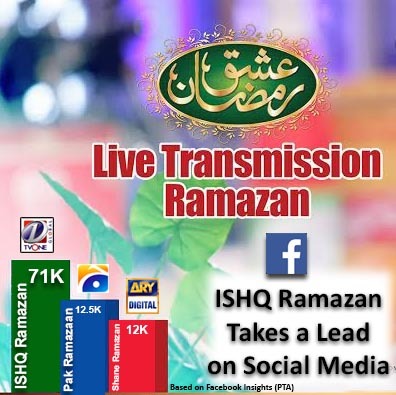 During the Shabe-Tauba special transmission ISHQRamzan Facebook page gets maximum reach of around 71K with 561 likes and 146 shares in the late night time slot from 12:00am to 5am. Besides Facebook, the Ramdan special transmission has got wonderful response on Twitter too with 2,096,665 deliveries and around 384,971 reach with 6,355 tweets. 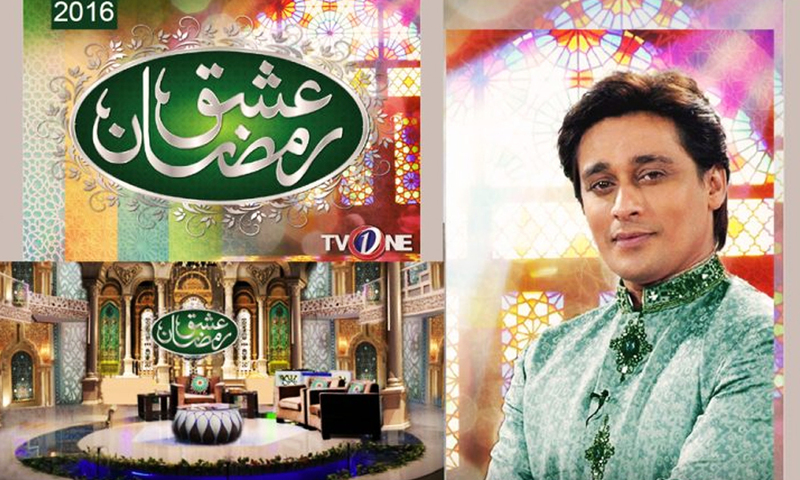 TV One’s iftar transmission has been hosted by RJ turned TV anchor Sahir Lodhi and religious scholar Shabbir Abu Talib is the host of sehar transmission on the channel. 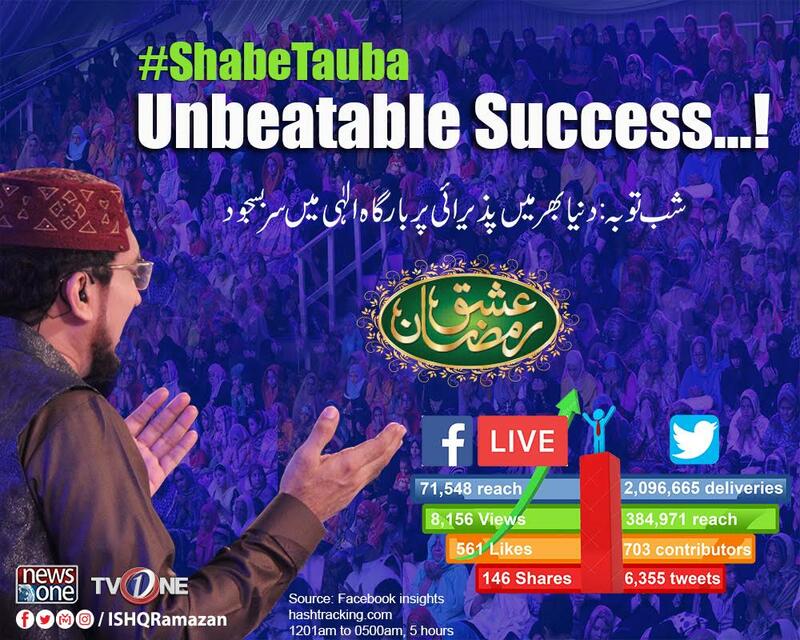 During the Shab-e-Tauba transmission 50 Ummrah tickets were distributed among audience along with other valuable gifts including motor bikes, laptops, mobile phones and LEDs.